Check the latest beach conditions, get a heads up on the current weather, and plan your beach escape by viewing our live webcam. 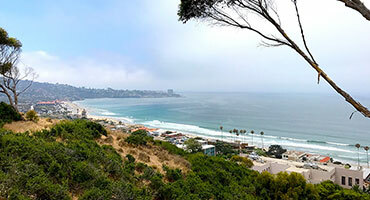 Bookmark this page for easy access to the most current conditions for your visit to La Jolla Shores, whether you're planning to surf, kayak or simply relax in the sand. Our prime location brings the beach just steps from your room with the added convenience of hotel amenities and a friendly staff to take care of everything your family needs. This Spring, we welcome you to take a break at the beach getaway your whole family will love! Click here to discover the many family-friendly activities surrounding our beachfront location. If you think you've seen all La Jolla has to offer -- think again! The Jewel City has lots of hidden gems, just waiting to be uncovered. Take some time with the family to explore these little known treasures, as La Jolla Shores Hotel hosts an exciting family vacation, right in your own backyard! 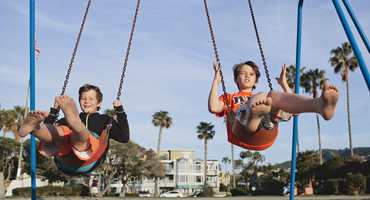 Check out this guide to some of La Jolla's best kept secrets and fun family adventures.